Pr. 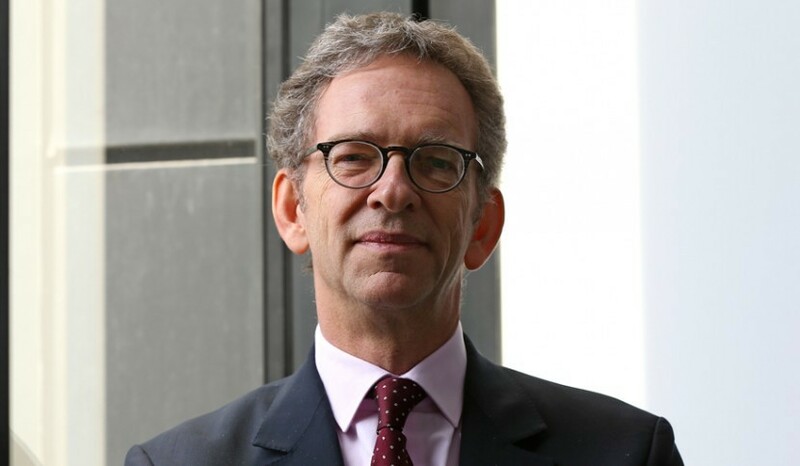 Alexis Brice is the Director General of the ICM and is also the Scientific Director of the Institut Hospitalo-Universitaire (University Hospital Institute) IHU-A-ICM. Professor Alexis Brice was Director of the Thematic Institute “Neurosciences, Cognitive Sciences, Neurology, Psychiatry” of AVIESAN1 (National Alliance for the Life Sciences and Health). He is also a university professor and former department head in the Department of Genetics, Cytogenetics and Embryology of the Pitié-Salpêtrière Hospital in Paris. He coordinates the Neurogenetics Reference Centre for “rare diseases” and the research team “Molecular bases and treatment of neurodegenerative diseases” of the ICM. In the course of his scientific career, after training as a clinical neurologist, Alexis Brice began to study the diseases of the nervous system with the new molecular genetics tools. He first focused his research on the study of the genetic bases of different neurodegenerative diseases (Parkinson disease, frontotemporal dementias, Huntington’s disease, spinocerebellar degenerations, etc.). The team of Alexis Brice has characterised and identified numerous genes implicated in these diseases, with applications for diagnosis and genetic counselling. They are now dissecting the mechanisms that lead to neurodegeneration in these diseases and are looking for new targets for their treatment. After his nomination, Alexis Brice announced his desire to “develop an ambitious research policy including both basic and medical research so that the ICM would figure rapidly among the most renowned neuroscience centres.” Professor Gérard Saillant, President of the ICM, stated that the arrival of Alexis Brice was a decisive moment for the ICM. He was pleased with the arrival of Alexis Brice, who is an internationally known researcher, but also a remarkable clinician, a profile that will allow him to conduct an efficacious research strategy to rapidly develop the treatments awaited by the millions of patients affected by diseases of the brain and spinal cord. It’s the evolution of a clinician attracted by the neurosciences who began by training as a clinical neurologist and who continued as a neurobiologist. Very rapidly, I realized that the progress made in molecular biology would help to better understand and thus better diagnose and treat neurological diseases. The clinical and genetic approach to these diseases was the point of departure of the team I founded, initially in the research unit of Yves Agid then Etienne Hirsch, the basis of which was a Bank of DNA and cells from patients. In parallel, I had the opportunity of creating a Department of Genetics in the hospital, which brought together the actors in this discipline and treated both children and adults. This Department now includes a Reference Centre for “rare” neurogenetic disorders. Finally, with Bernard Bioulac, we directed the Thematic Multi-organism Neuroscience Institute (ITMO, cognitive sciences, neurology and psychiatry, created in the framework of AVIESAN (National alliance for the life sciences and health)1. It was a rewarding experience to define the major strategic orientations, coordinate the national participants and conduct European and international programs. How is the ICM governed? The Board of Administration of the ICM defined the rules for the selection and recruitment of its future Director General. An international search committee was constituted to select the scientists and present them to the Board of Directors before validation by the international Scientific Advisory Board. Since my nomination on April 24, 2012, after several stages, I work with the Board of Directors of the ICM presided by Gérard Saillant. In the framework of arrangements between the ICM and its institutional partners (AP-HP, CNRS, Inserm and Sorbonne Université), I was also appointed Scientific Director of the IHU-A-ICM and, since December, 2013, am director of the Research Centre. This evolution simplified governance at the service of the research teams, which are scientifically and financially independent. The researchers of the Institute benefit from the complementarities and synergies between a private foundation of public interest (ICM) and public institutions. What is your role in the ICM? Conduct a scientific policy founded on our strategic objectives of research and training; reinforce already identified strong axes; promote scientific interactions to generate ambitious interdisciplinary projects; recruit new researchers selected by the Scientific Advisory Board; position the ICM in the international research space; assure the functioning, technological progress and evaluation of the core facilities on which the teams depend; organise administrative and financial support at the service of the researchers, create synergies and an integrated organization between the administrative services of the ICM and those of the public institutions; increase the relations between the ICM and its donors so that they share the advances realized at the Institute thanks to their generosity; finally, develop in all the members of the ICM a sense of belonging to the Institute. What are your hopes for an institute like the ICM? The Institute must become one of the most important neuroscience centres internationally, with a strong implication in research on the pathologies of the nervous system (neurodegenerative diseases, multiple sclerosis, epilepsies, brain and spinal traumas, etc.). We benefit from the quality of the researchers and clinicians, the performance of the core facilities of the Institute and the influence of the University Hospital Institute of Translational Neuroscience (IHU-A-ICM directed by Bertrand Fontaine. Translational research also depends on the strengths of the Pole of Nervous System Diseases and the Clinical Investigation Centre located in the ICM. In addition to biology and medicine, basic and clinical research in the neurosciences needs the contribution of many scientific disciplines (mathematics, physics, chemistry, informatics, etc) and also the social sciences. My objective is to create a unique training site, opened to society, in order to attract students, researchers and physicians from all over the world. The existence of a bioincubator and collaborations with heath-related industries represents an opportunity to go faster and further in the development of medical applications. It is thus a great institute at the service of science and patients that must take form with the researchers of the ICM. 1. Aviesan associates the CEA,CHRU, CNRS, CPU, Inra, Inria, Inserm, Insitut Pasteur and IRD to coordinate research in the life sciences and health.